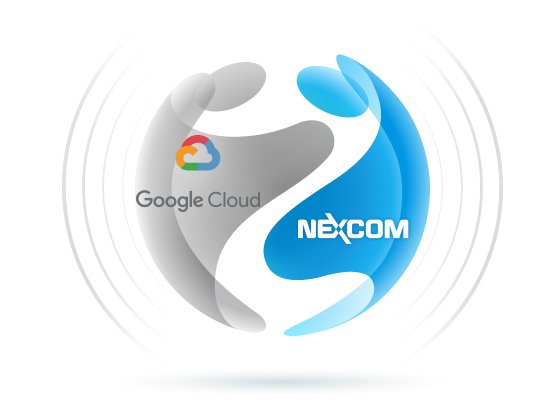 Industrial computer hardware manufacturer NEXCOM has partnered with Google Cloud to bring intelligence and machine learning (ML) to the edge. With NEXCOM Industry IoT solutions, customers can build intelligence into industry automation systems and collect and exploit new sources of data for smarter, faster, better-informed business decisions. Google Cloud offers many products aimed at helping customers develop and deploy intelligent connected devices at scale. One is the Edge TPU (Tensor processing unit), which is Google Cloud’s purpose-built AI chip designed to run TensorFlow Lite ML models at the edge. The Edge TPU offers high performance per watt with a small footprint, enabling a broad set of use cases. It is designed to complement Google Cloud’s Cloud TPU so users can accelerate ML training in the cloud, then have lightning-fast ML inference at the edge. Another product is Cloud IoT Edge, a software stack that extends Google Cloud’s powerful AI capability to gateways and connected devices. Able to run on Linux-based operating systems, Cloud IoT Edge is composed of two runtime components—Edge Connect and Edge ML—and can take advantage of the purpose-built hardware accelerator ASIC chip, Edge TPU. More than just data collectors, sensors are then able to make local, real-time, intelligent decisions. NEXCOM is proud to be one of Google Cloud’s IoT ecosystem partners that has developed intelligent devices, such as the NISE 50-IoT gateway, to take advantage of Google Cloud IoT innovations at the edge. The IoT gateway from NEXCOM has varied uses, such as in factories, locomotives, oil rigs, and more, and includes a specially developed system on module (SOM) that comprises of the new hardware chip Edge TPU, a NXP brand CPU and Wi-Fi.